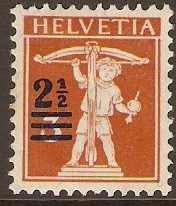 Switzerland 1921 2½ on 3c orange-brown. SG307. 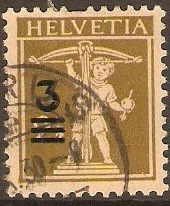 Used 1921 2½ on 3c orange-brown. SG307. Heavy mounted mint 1921 2½ on 3c Orange-brown. SG307. 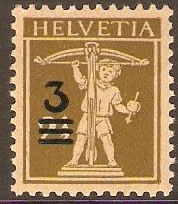 Switzerland 1921 3 on 2½c bistre on buff. SG308. 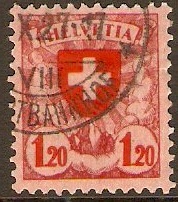 Used 1921 3 on 2½c bistre on buff. SG308. Unmounted mint 1921 3 on 2½c Bistre on buff. SG308. 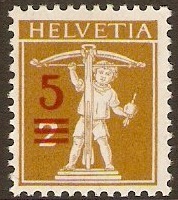 Switzerland 1921 5 on 2c Ochre. SG309. Unmounted mint 1921 5 on 2c Ochre. SG309. 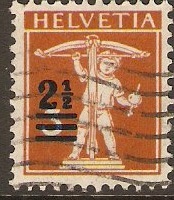 Switzerland 1921 5 on 7½c grey. SG310. 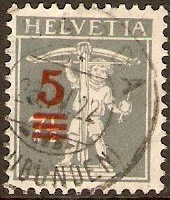 Used 1921 5 on 7½c grey. SG310. 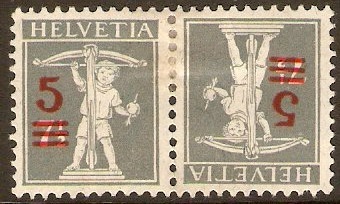 Mounted mint 1921 5 on 7½c Grey. SG310. 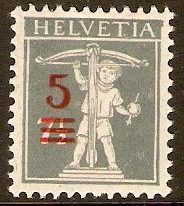 Switzerland 1921 5 on 7½c Grey. SG310a. Tete beche. 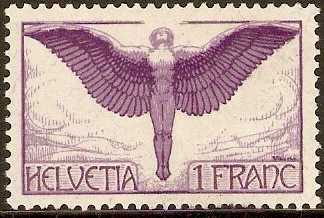 Mounted mint 1921 5 on 7½c Grey. SG310a. Tete beche (pair). 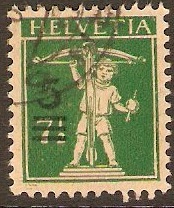 Switzerland 1921 5 on 7½c green on buff. SG312. 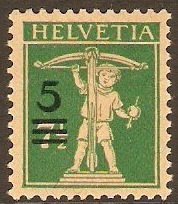 Used 1921 5 on 7½c green on buff. SG312. Mounted mint 1921 5 on 7½c Green on buff. SG312.